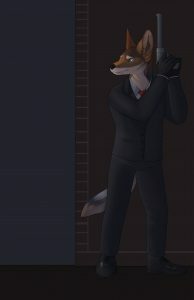 Our spy themed foray into Furry is almost ready for your reading pleasure, so House Fox is delighted to share with you the table of contents for this fabulous tome. Floof will Out. Contents Introduction by Leinir A Treacherous Thing by C.A. Yates Survivors of the Holocene by Madison Keller Starlight and Thorn by K.C. … Continue reading "The Jackal Who Came in from the Cold – Table of Contents"